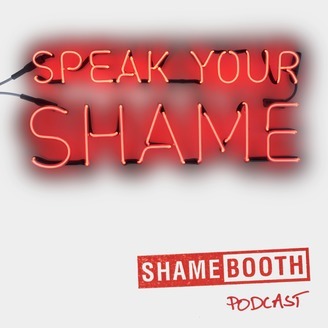 SHAMEBOOTH is a podcast about getting proud. Through recordings from our art installation, interviews with brave people doing brilliant things and chock full of other sneaky peaks and goodies, we help you answer the question what if? What if I was enough, what if I could feel proud even about the things I thought were mistakes, and what if I did it with playfulness and joy. What if? Come on, what’s the story you want to tell about yourself to yourself. Here’s your chance to flip the script. When we see the word shame, it pricks up our ears. We want to know more and we want to understand what people are saying, and doing, about it. Because guess what? We want to eradicate shame. Let’s do it! Wait, wait, what’s that you say? There are some good things about shame too? We never thought of it that way, not until we had author and psychotherapist Joseph Burgo on the show. 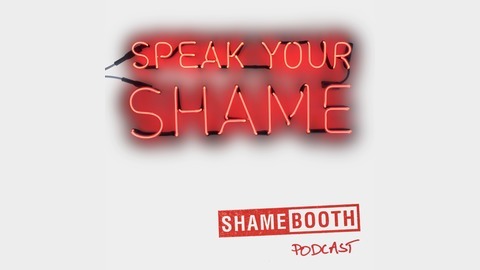 He had some exceptional insights about shame, a topic he has been exploring for over a decade now, culminating in his book, Shame: Free Yourself, Find Joy and Build True Self-Esteem. We met in Palm Springs and spoke about shame, Trump, Louis CK, and how shame can be a path to pride. We had fun, enjoy.